Jason Wright is a New York Times, Wall Street Journal, and USA Today bestselling author. 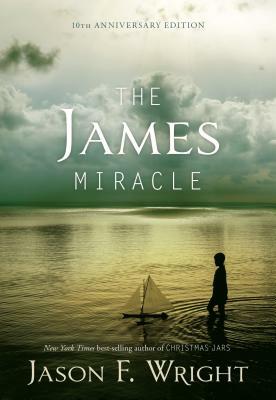 He is the author of The James Miracle (2004); Christmas Jars (2005); The Wednesday Letters (2007); Recovering Charles (2008); Christmas Jars Reunion (2009); Penny's Christmas Jar Miracle (2009); The Cross Gardener (2010); The Seventeen Second Miracle (2010); The Wedding Letters (2011); and The 13th Day of Christmas (2012). Articles by Jason have appeared in over 50 newspapers and magazines across the United States including The Washington Times, The Chicago Tribune, and Forbes. He has been seen on FoxNews, CNN, CSPAN and on many local and national radio shows. He lives with his wife, Kodi, and their four children in the Shenandoah Valley of Virginia.